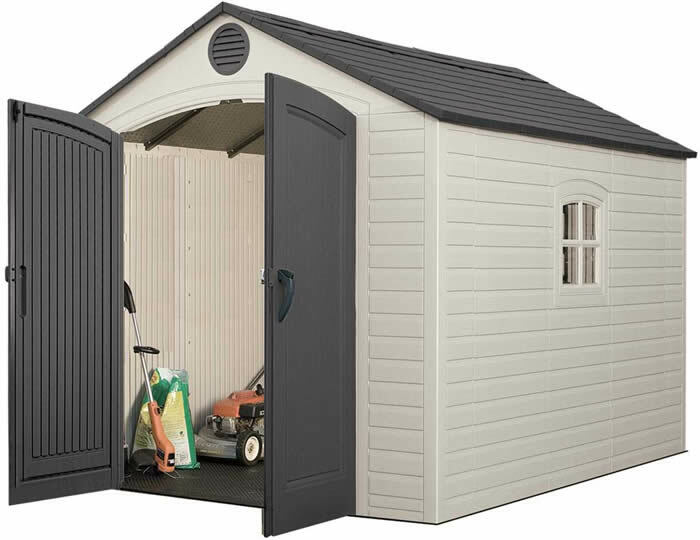 Get the realistic look of wood-grain, maintenance free. 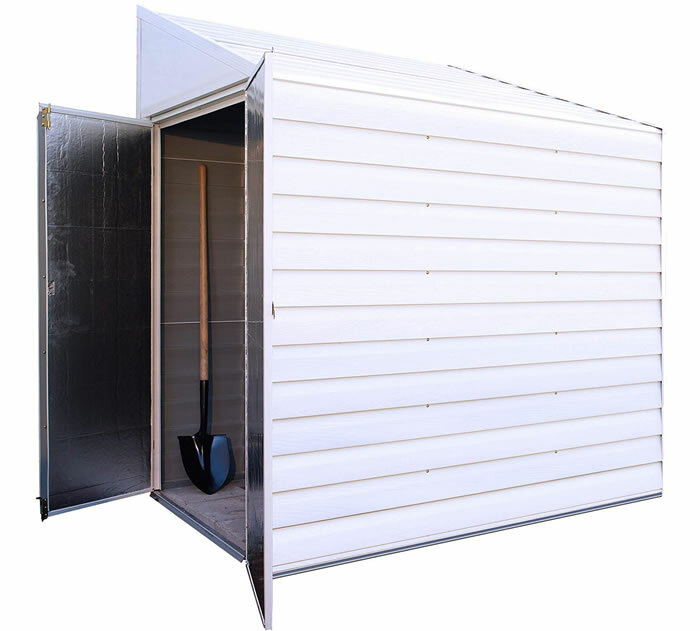 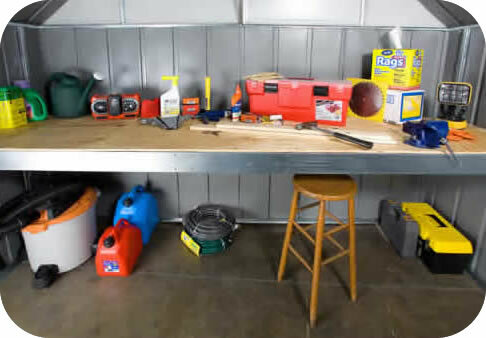 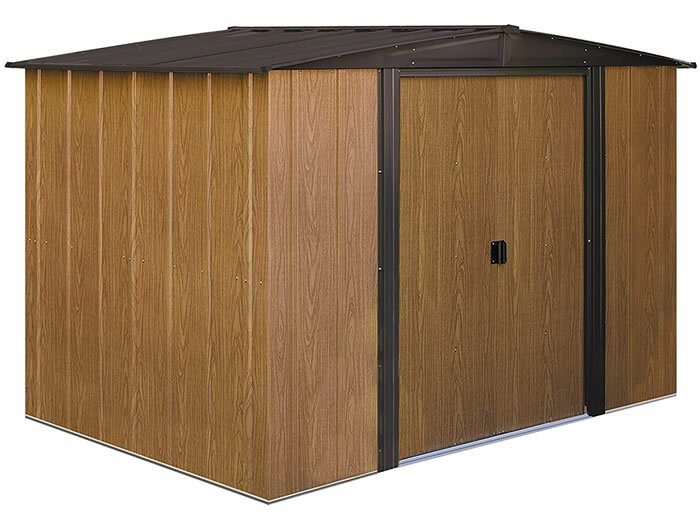 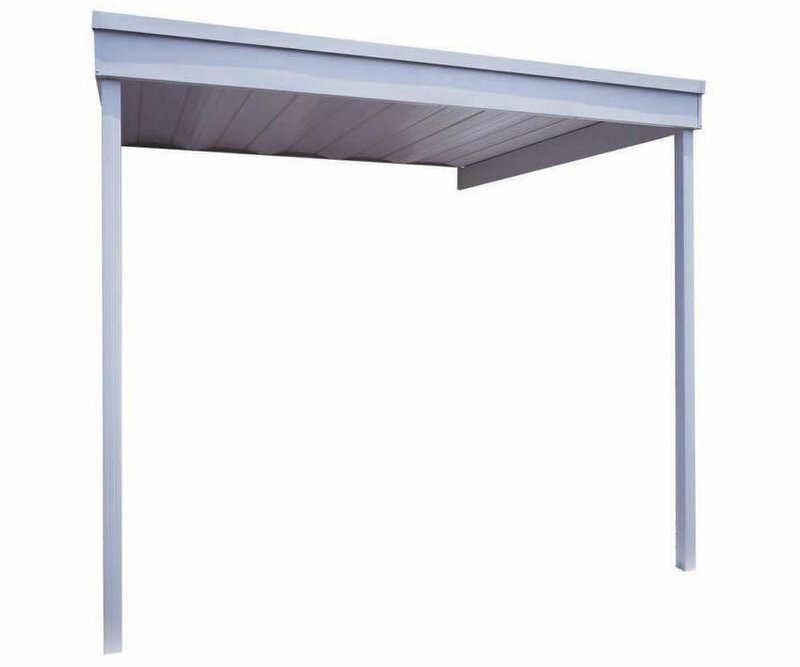 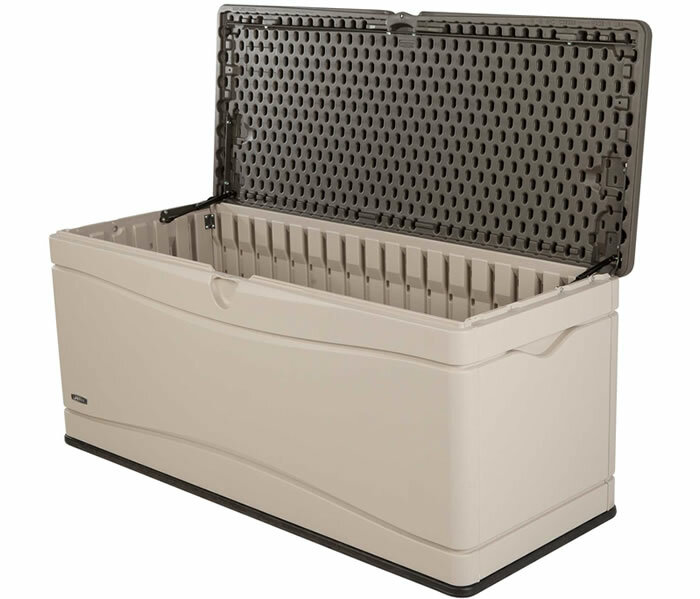 Available in three sizes, the Arrow Woodlake metal storage shed offers easy-to-assemble storage solutions for every backyard storage need. 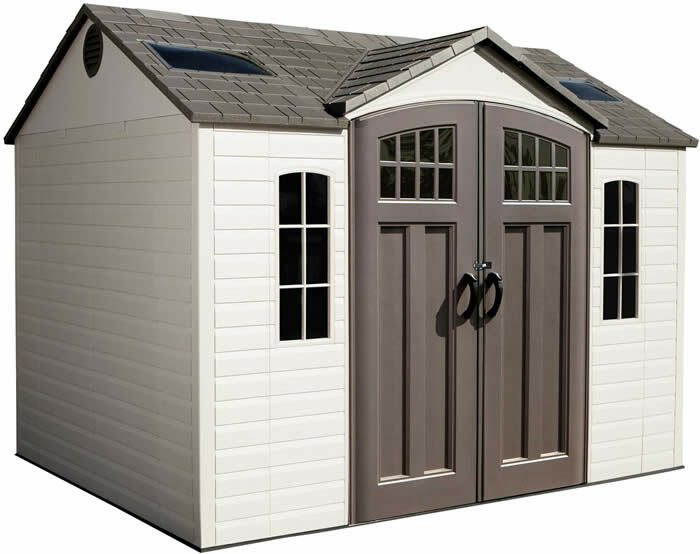 The look of real wood, maintenance free! 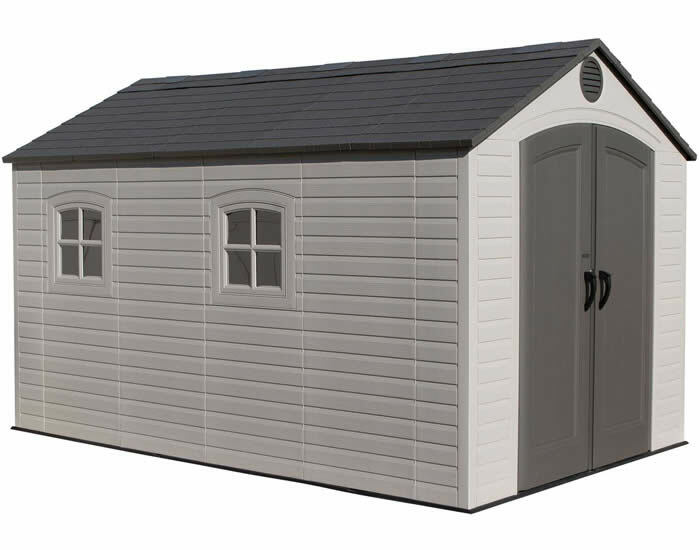 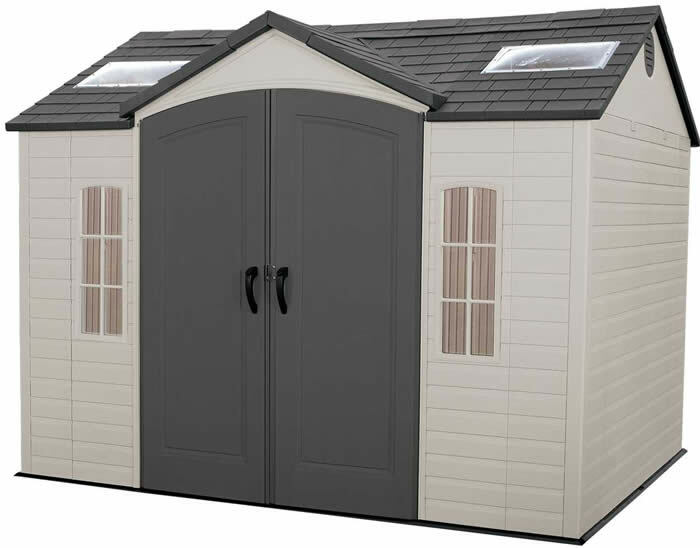 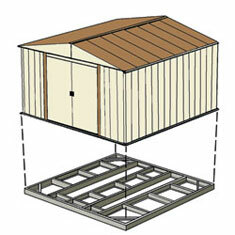 Interior Dimensions: Width: 118 1/4" Depth: 90" Ht: 71 5/8"
Recommended Foundation Size: Width:121" Depth:92 3/4"
The shed arrived ok. 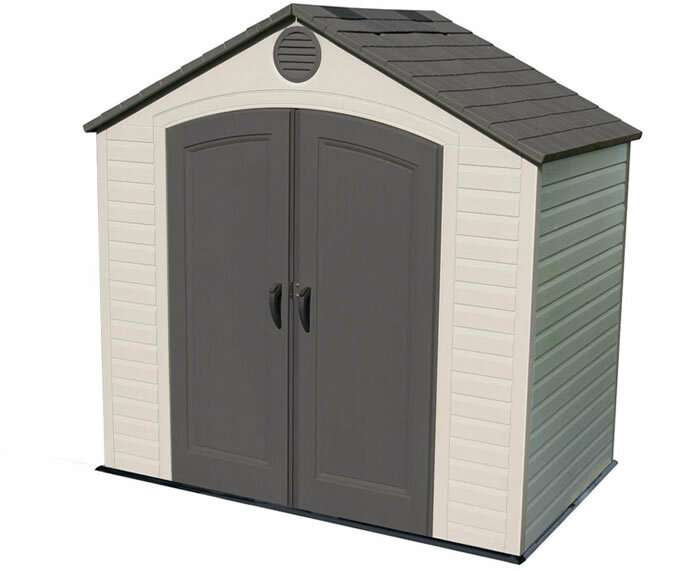 The only problem I had was not sheds fo ..